There are many emails that can be sent from Operate. Some of these are manual emails that you can send to your colleagues, contacts, leads and prospects, some are automatic emails that you can send using workflows and auto response rules, and some are system emails sent to you on behalf of Operate. There are also a few different ways in which the emails from Operate can appear to have been sent. Here is a quick explanation of each of the different ways emails can be sent from Operate. More information of all the features in Operate which send emails can be found here. Note that many of the methods described below involve Operate sending emails on your behalf. In order to ensure that these emails are sent successfully, you should set up an SPF record. There are several emails that you can send from the system that will appear to have been sent from your own email address, as set within your Profile. 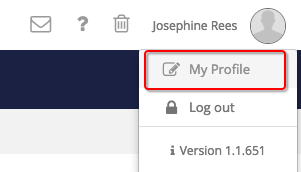 To find out what email address is associated with your Operate account, select My Profile in the top right hand side of your navigation bar. The sender and sender address for these emails is taken from the email address and First and Last names displayed in your profile. Tours - when booking a tour, a confirmation email can be sent to the Prospect. If you select the option to 'Send the Tour Confirmation', the email will be sent from you. Reports - after running a Report in Operate, there is an option to email it (to yourself or others). You can also automatically schedule reports to be emailed to yourself or other Operate users. If you manually email or set up a scheduled email, the email will be sent from you. Customer Records - when previewing a Licence Agreement, Statement, Booking, Invoice or Credit Note you can choose to email a copy. Automatic Invoice Production during a Bill Run - After completing a Bill Run, you can automatically email invoices to your customers. If you are the one to select this option at the end of the Bill Run, the emails will be sent from you. There are some scenarios in Operate where you can specify the name and email address for the email to appear to have been sent from. It is important to always use a valid, in use email address to ensure that emails are sent successfully. Workflows - Workflows can be used to automate a variety of actions, including sending emails to contacts, leads, opportunities and also your internal users. 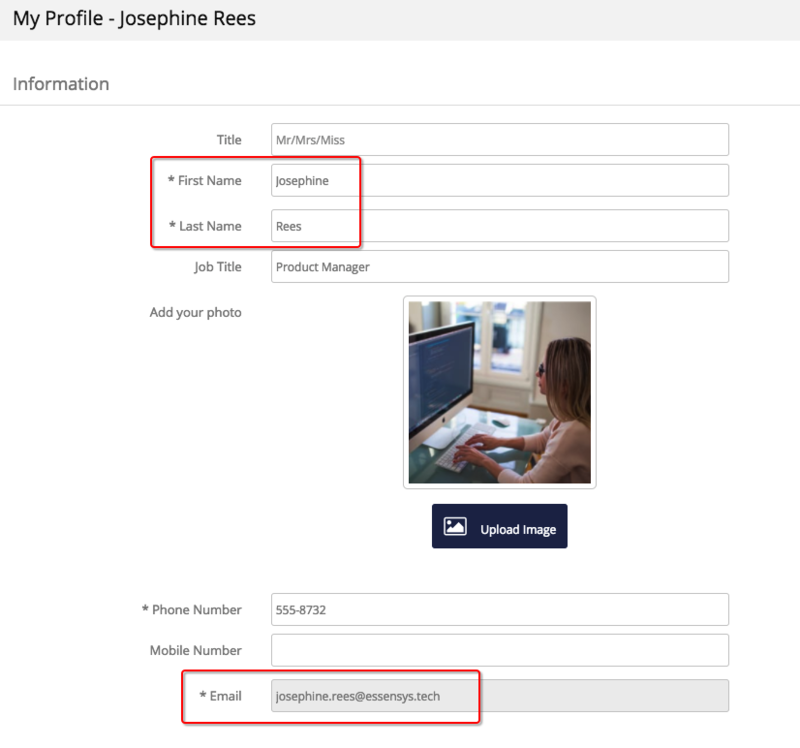 When setting up a new workflow, you can specify the name of the sender, and also enter an email address that you would like the email to appear to have been sent from. Note - there are some preconfigured workflows available for you to use. The sender fields for these have had placeholder email addresses added. Emails section - You can send one off emails to any address, or to a Mailing List, by going to Member > Emails and selecting New. You can choose the label, and then choose from the list of your colleagues on Operate to choose whose email address it will appear to have been sent from. Emails sent as part of an Email Campaign - You can create emails that will be sent to your Members as part of a marketing campaign. When creating each email, you can choose the sender name and email address. Finally, there are a few emails which appear to be sent from Operate. Auto Lead Assignment - when a Lead is automatically assigned to a user, they receive an email notification. This notification will come from noreply@essensys.tech. There are several places in Operate where you can choose to Send to Outlook. This option allows you to send an iCal booking to your (or another user's) Outlook calendar, so that your personal calendar reflects the item in Operate. This iCal invite is emailed to the your and can then be used to create a meeting in your Outlook calendar. If you choose to 'Send to Outlook', the iCal will be sent from you. Note that after the iCal invite it sent, it will not reflect any changes made to the event in Operate. Tasks - When creating a new Task. It can be sent to the user assigned to the Task. Logging a call - When logging a call against an Account. Booking a Tour - When booking a new tour.